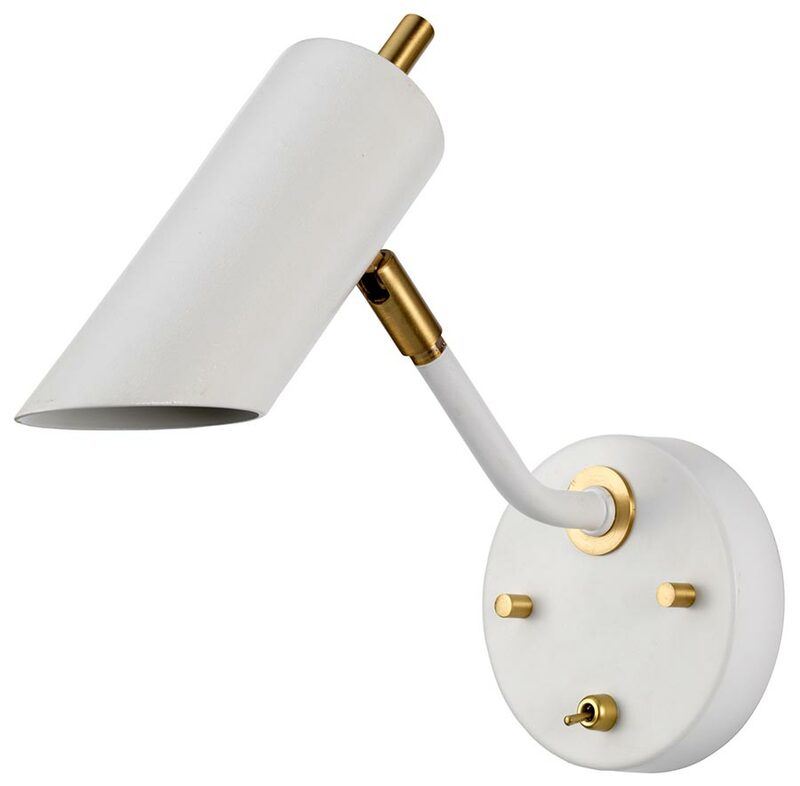 The Elstead Quinto 1 lamp switched wall light in gloss white with aged brass accents features clean lines, contemporary style and adjustable head. Circular wall mount and slender stem that’s angled upwards, with hinged slash-cut cylinder shade so you can direct the light just where you need it. Fitted with a polished nickel toggle switch on the wall plate. 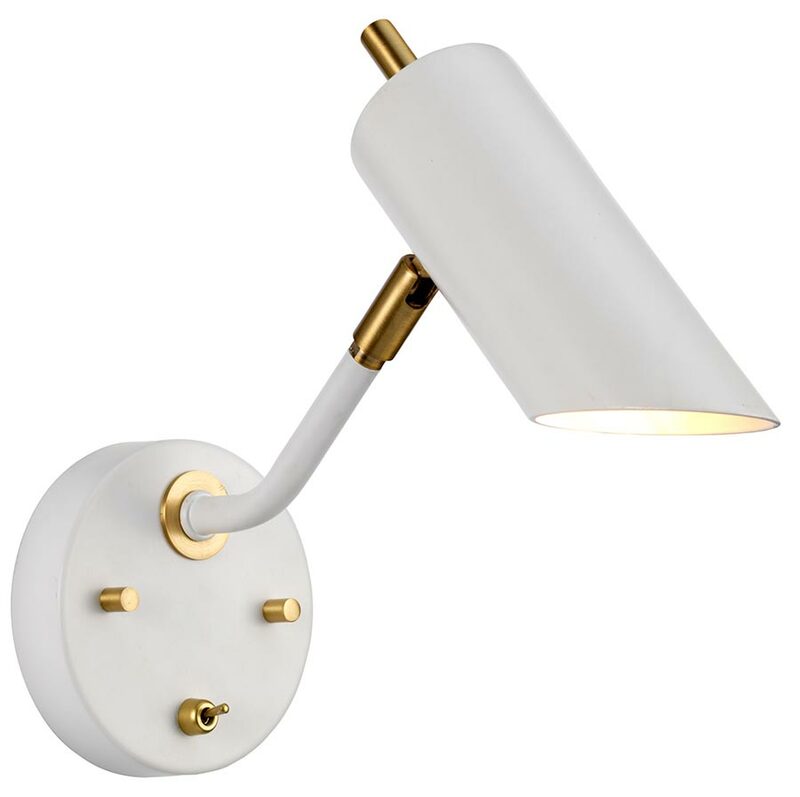 An elegant, functional wall spot light that looks great in the home office or trendy kitchen. There are matching fittings available in the white and brass finish Quinto collection, please scroll down to view. This modern wall light is designed and supplied by Elstead Lighting, a British company that specialise in the manufacture and distribution of quality decorative lighting such as the Quinto 1 lamp switched wall light in gloss white with aged brass accents you see here.